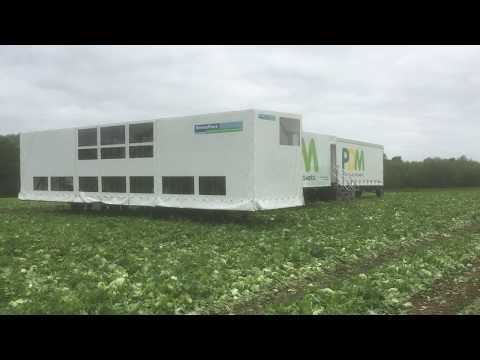 The most cost effective way of packing vegetables is by using the packing system in the field. For this BrimaPack has developed a range of harvesting headers. At field level the workers cut & clean the product and put it in in-feed systems which transport the vegetables to the packing machine(s). 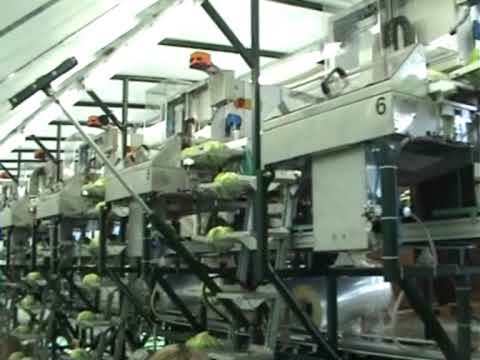 After packing the vegetables, processing is continued in state of the art packing and boxing stations. Optionally automatic grading, by produce weight and/or size, can be integrated into the packaging systems. Combined with the actual GPS-data and our in-house developed BrimaNaut software, you can obtain powerful data for optimizing your crop and harvest strategy. Together with our VeCode capabilities, full produce traceability is guaranteed and available at your fingertips. There are currently three different rig header designs for harvesting. Each rig header can be combined with our own BrimaPack e-drive rigs and most third party harvesting rigs. The logistics inside the harvesting header and rig are tailored to your specific requirements. Based on our wide expertise, we are able to offer you the highest possible packing efficiency. We not only design for you, but also build the complete harvesting header and integrate it with the rig of your choice, including commissioning, training and start-up on site. The Columbia header system is customer optimized, to achieve highest productivity. In the optimal situation the cutters are sitting on their knees, the most efficient and ergonomic working position. The Atlantis harvesting header system is the packing solution based on conventional / traditional harvesting systems, and can easily be used on fields with different planting concepts. The cutters can be assigned freely (within limits) to the different in-feed systems, and iceberg rows. The Discovery is a self-propelled harvester. The system has multiple packing units and logistics integrated in the harvester, this combined with a side off-load for the packed boxes to a transportation trailer.